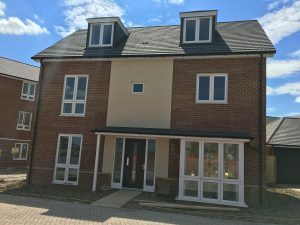 Home ▸ Blog ▸ Events ▸ New Product Launch ▸ 2018 already?! Colour refresh, new products and retiring list. 2018 already?! Colour refresh, new products and retiring list. Wow, what happened there?! I feel like I blinked and missed a chunk of time! Seriously, other aspects of life have taken over from being able to update my blog, and for that I apologise. Especially to those of you who have received my card in that time and may have visited here to see what I was (wasn’t) up to! So it’s time for a refresh for both my blog, and the Stampin’ Up! world! 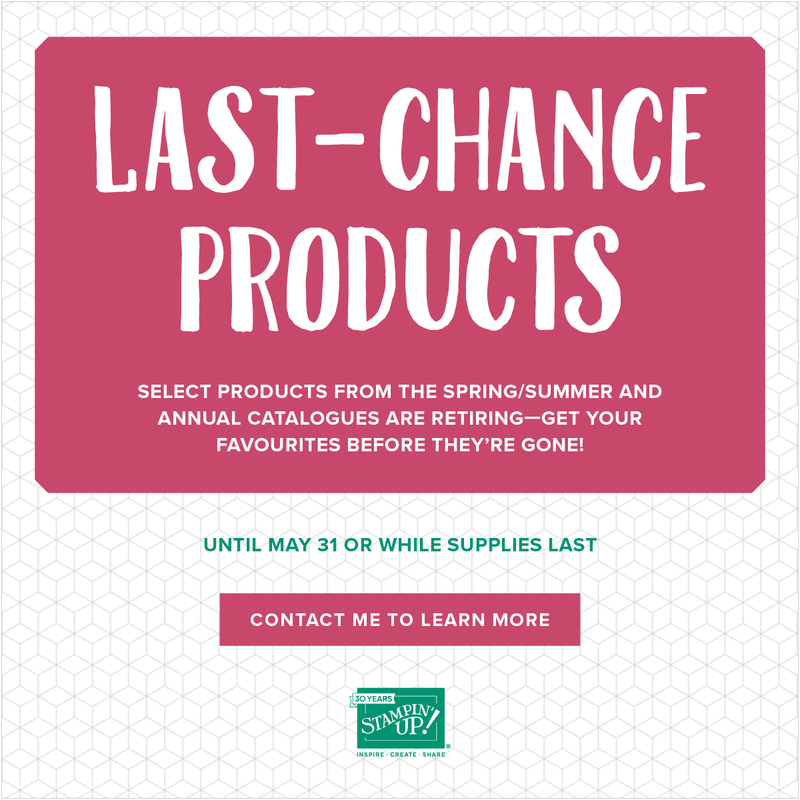 Last chance products, yes. With the launch of the new Annual Catalogue for 2018-2019 due at the beginning of June, now is the time when Stampin’ Up! launch their retiring list. We already knew that the 2016-2018 In Colours would be retiring, but there are a lot of items joining them this time around. Not least some of the colours from the main colour families! That’s right, Stampin’ Up! are going for a complete colour refresh, and retiring some of the less popular and less “current” colours, and replacing them with some old favourites, and some brand new “on trend” hues! Very exciting. If you look at the retiring lists here, you may notice that *all* of the ink pad colours are on the retiring list?! This doesn’t mean that SU are replacing all of the colours. The moulds that make the plastic ink pad cases are coming to the end of their useful life, so there was a decision to be made as to whether to stick with the same design, or to shake it up and see if they could improve and upgrade the product offering. So they went for the improvement option, and you are gonna love what they have done! The whole set-up of Stampin’ Up! is going through an overhaul and a refresh, including the logo and the packaging in honour of their 30th birthday celebrations this year. It all just seems to tie in nicely together! Supplies on these two lists are while stocks last only, so if there is something you want to get hold of, then you will want to act fast – go to the Shop to place your order! Be sure to add me as your Demonstrator so I can follow up with you and let you know of upcoming events and gatherings – these will also be starting up again soon! As some of you already know, we moved house in September 2017, still within Basingstoke, but we now live on the other side of town in a beautiful new-build house. It has an amazing space for group crafting, which I hope to be making space for in the near future! 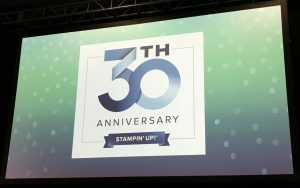 Like I said, the refresh of Stampin’ Up!’s offerings is a great chance for me to refresh my energies and offerings as well, so watch for more on that coming soon. My “little helpers” are growing bigger by the minute, it seems, and they are now 6 years old. So I expect they will be involved in at least some of the new events!! 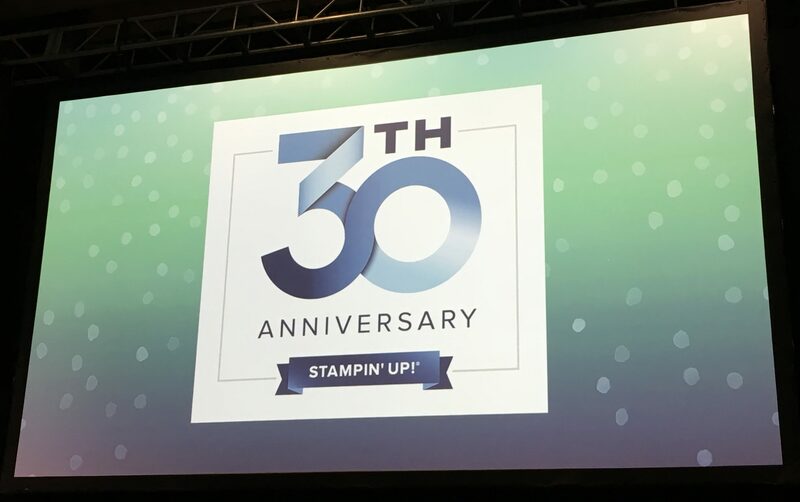 There will be plenty, PLENTY, of new products coming in the new catalogue in June, but as a special #StampinUp30 birthday treat, there is a sneak peek bundle release in May for Customers! Stay tuned for more information on that to come nearer the time! In the meantime I need to get crafting with the new goodies that I received at OnStage this weekend, to get showing you just a taste of the beautiful new products heading our way with the new catalogue! I placed an order last night for a few bits and bobs, and plan to treat myself to some new colours when they are available to Demonstrators at the beginning of May… If you want to be able to do the same, then contact me about joining Stampin’ Up! as a Demonstrator, and getting BRAND NEW products as part of your amazing Starter Kit deal.